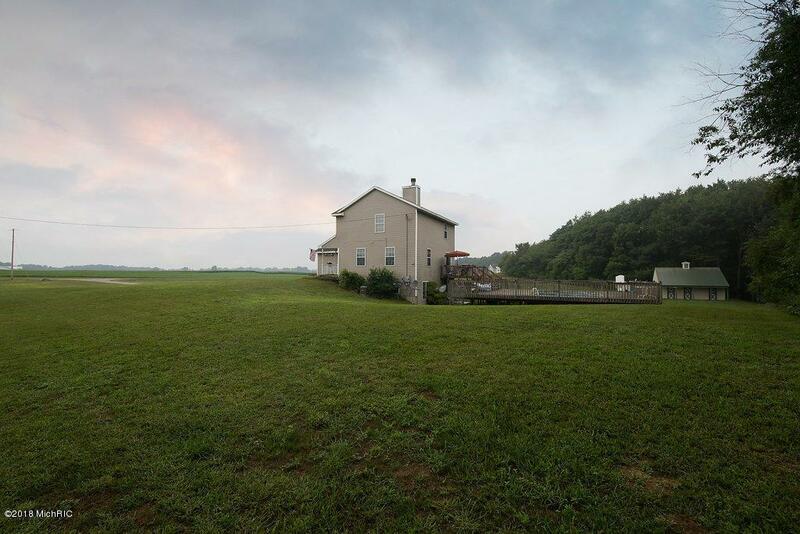 Rare home on 3 acres located on a private road in Caledonia Schools and near Green lake. This home was built by DK homes 20 years ago. Back half of the lot is completely wooded and attached to larger woods. Lots of wild life right in your back yard. New Roof, Hot water and HVAC, Refrigerator, Dishwasher and Microwave in 2015. It will need flooring to complete the updates. 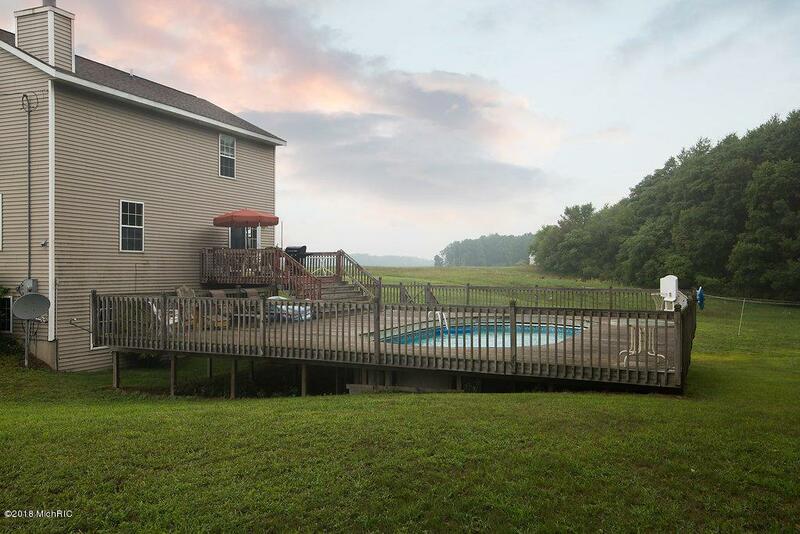 Deck around pool is 38'x40' in very solid condition. 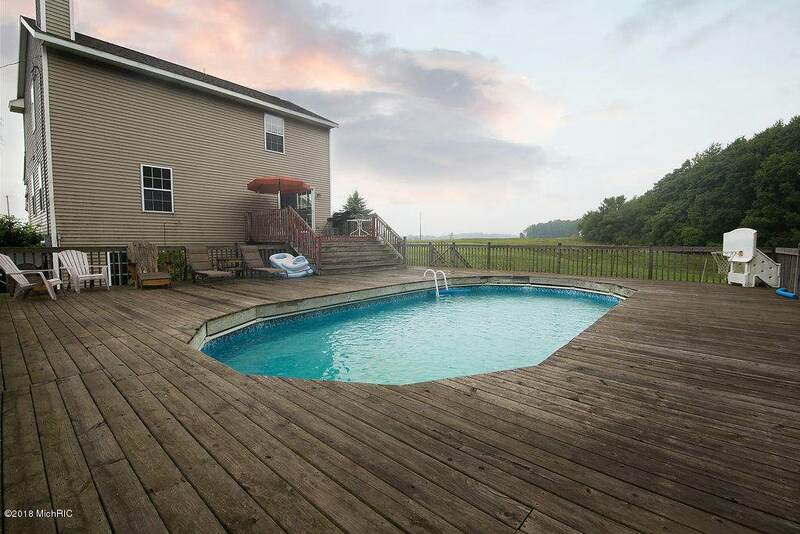 Deck needs a good staining and you have the perfect private backyard with pool and trees behind. Lot Dimensions 255 X 565 Approx. 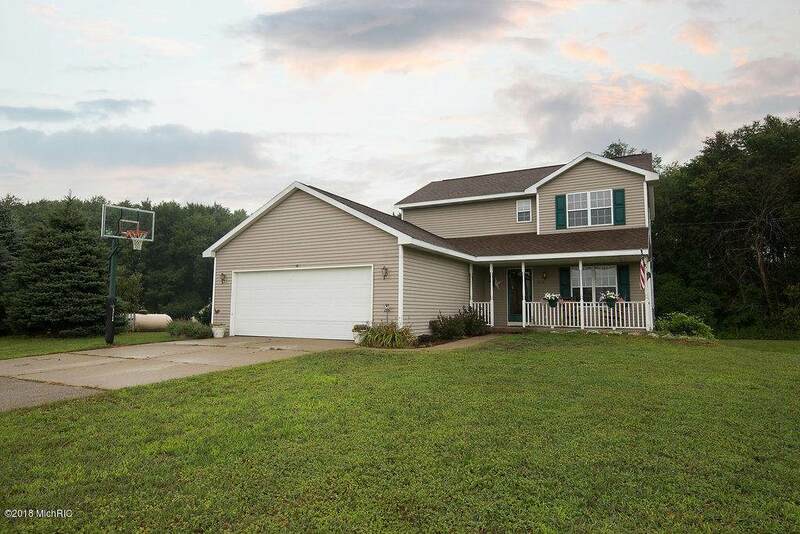 Listing provided courtesy of Jay D Dekleine of Renova Realty Llc. © 2019 MichRIC, LLC. All rights reserved. Information deemed reliable but not guaranteed.